While complications are sometimes the result of an unavoidable accident, incompetence often plays a part and the impact can be devastating. We seek justice by ensuring that those responsible face the consequences of their actions and those affected receive significant reparations for their pain and suffering. 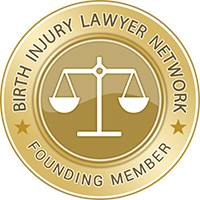 As birth injury lawyers we are very experienced in differentiating between routine childbirth complications and serious lapses in care and judgement. We can draw upon a team of skilled medical professionals to help prove negligence. We know that birth injuries can cause both physical and emotional trauma for the families involved. During these difficult times, you want to take some comfort in the fact that your legal matters are being handled with the utmost care and professionalism. While babies are most often the victims of maturnity room negligence, mothers can also suffer serious injuries during delivery. Contact us to learn about your rights to compensation if you have been injured during while giving birth.